Got this gem on a lucky day. Newly listed, and of course a price I couldnt refuse. Looking through the pictures, the reel looked like it was dang near new. So I took the chance, from a Japanese seller Ive never bought from. I received the reel today, and to my surprise, the reel was in almost perfect shape. Smooth, and recently serviced. The only thing I thought was holding this reel back was the handle assembly. So I looked through some handles I got laying around. Swept, thats all I have that will fit the driveshaft. A 95mm Lews handle seemed the best fit. But, its swept and the factory drag star wont allow it. Going through my threaded drag stars, all the skirts of them were too wide. They would not allow me to tighten down without hitting the cast control knob. What to do? Then I remember another member from a different forum. A enthusiest forum, where all that is able to be done...is done. 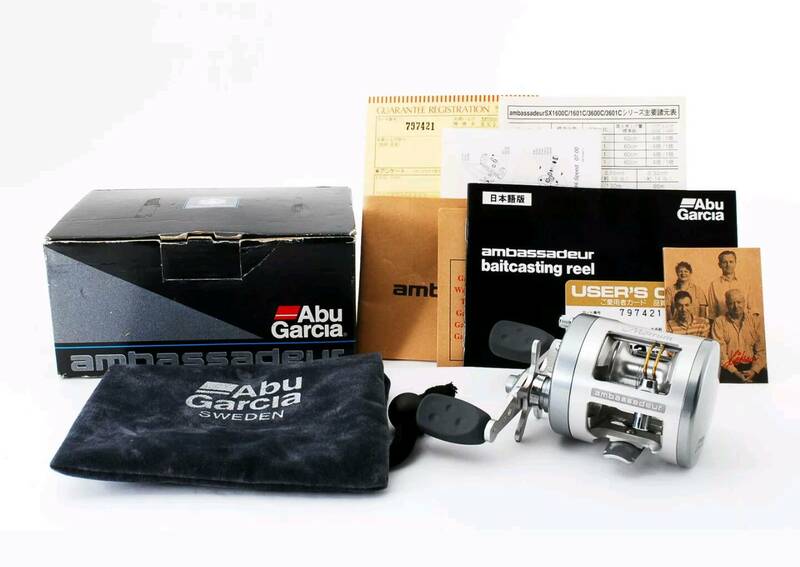 Daiwa Alphas, that reel had a similar drag star, and was straight arms as well. Couldnt put a swept handle on an Alphas without changing to a swept star. But one guy took the straigh star, and carefully turned it into a swept one. So, off to my tool shed I go. Locking the star in my vice, I carefully worked each arm. Using a small adjustable wrench, I slid it over the arm, and gently started to bend them. One by one, I cringed the whole way. Not wanted to bend too far, I carefully kept checking. It really wasnt that hard to bend them, but trying not to break them was the challenge. The final outcome was a swept factory drag star, and a 95mm swept aluminum handle, with paddle knobs with 2 bearings per knob. I cringe every time I tear down a reel, I'm nuts but wouldn't try that. LMG, are you using your light box for the pictures you have be using? They are very good and make a nice presentation. Yes, and am loving it for the different look. Thanks. 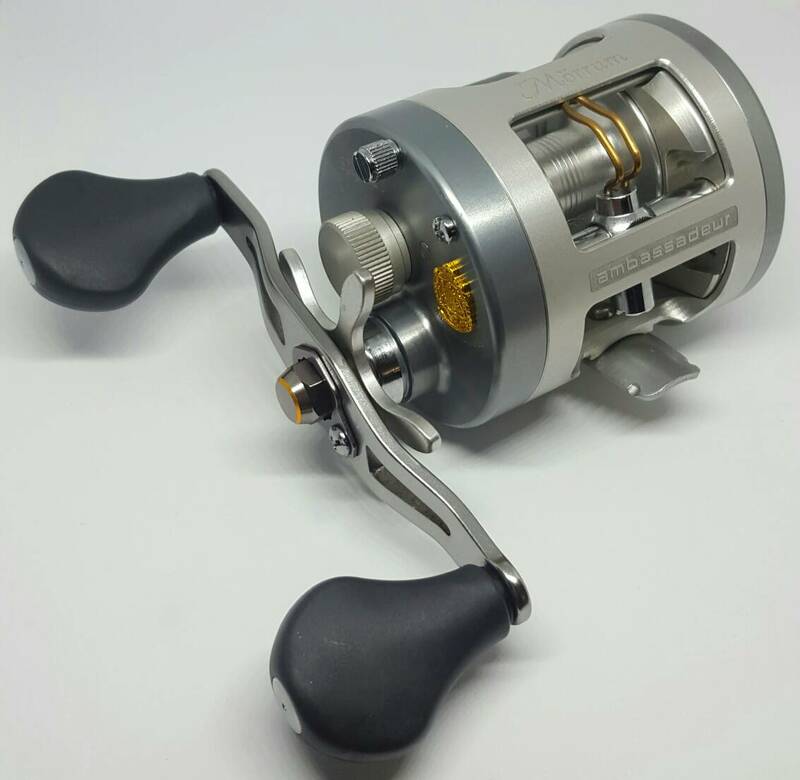 So, to be clear, Lews handles fit the smaller Abu reels? I'd like a different handle on my Revo and my Abu round reels, and Academy has a nice but small selection of Lews handles. Correct. Lews, Abu, Daiwa, etc all use the same drive shaft dimensions. The odd ball out is Shimano. Took the 10lb Trilene XT off, and spooled it with the 30lb Spectra. Was tossing a 1/4oz Z Man chatter bait with a small minnow trailer. 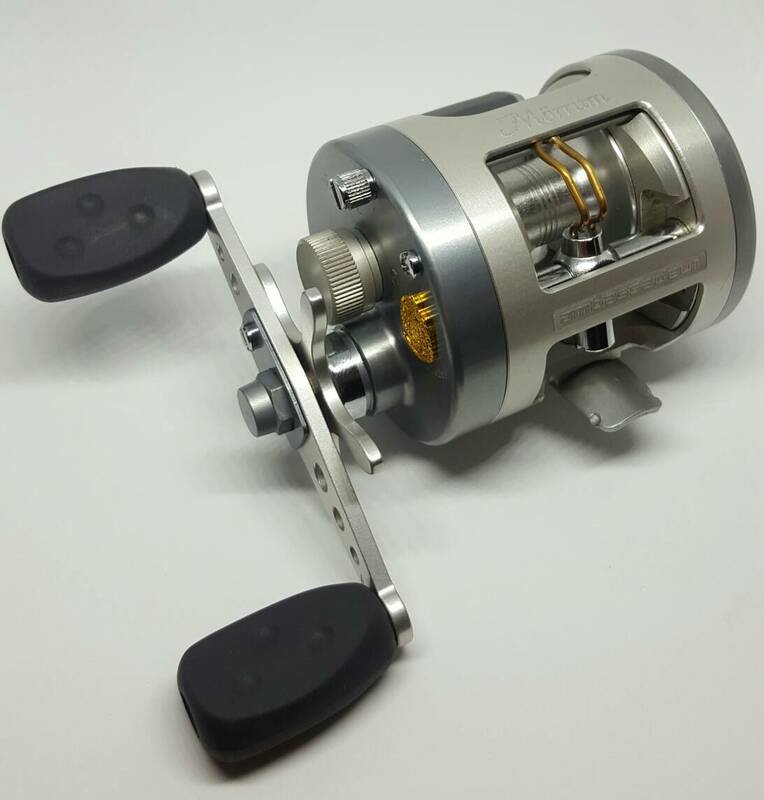 This reel is a killer topping with the MH MF Mojo Bass rod. Hopefully give it a good workout this weekend. Will be looking for your report Matt and hope you get on some nice fish.